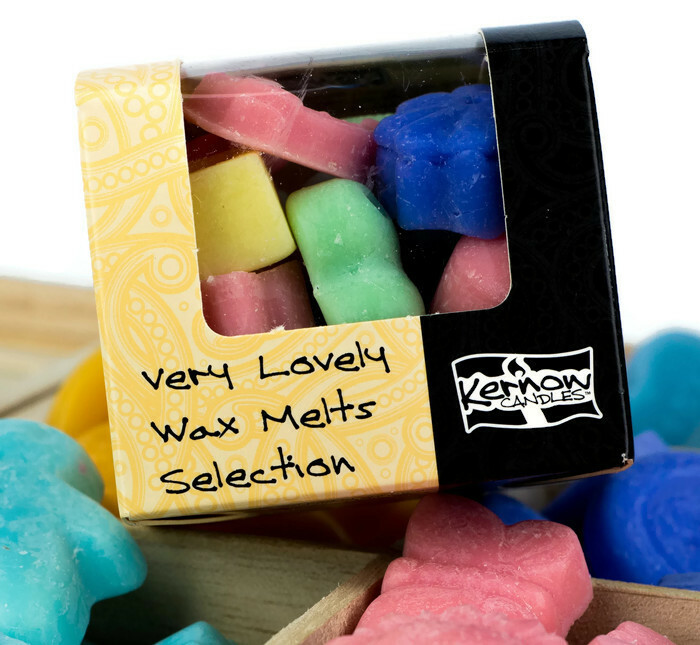 A boxful of our best-selling wax melts, each box contains a mixed selection of at least 8 of our best-selling scents, in a pretty assortment of colours. A boxful of our best-selling wax melts; each box contains a mixed selection of at least 8 of our best-selling scents, in a pretty assortment of colours. The selection changes with the seasons, but may include; Cream Tea, Honeysuckle, Bluebell Wood, Cherry Fest, Zesty Orange, Roobarb Custard, Fairy Dust, Lily of the Valley, Spiced Apple, Cranberry Vanilla, Rockpooling, Pina Colada, Linen Fresh, Coconut Breeze. Our very lovely Wax Melts are handmade in our Cornish workshop. We use a quality soy wax, because we won’t let paraffin wax anywhere near our workshop. Pop one in the top of an oil burner, light a tealight beneath, and let the lovely fragrances waft gently around you. 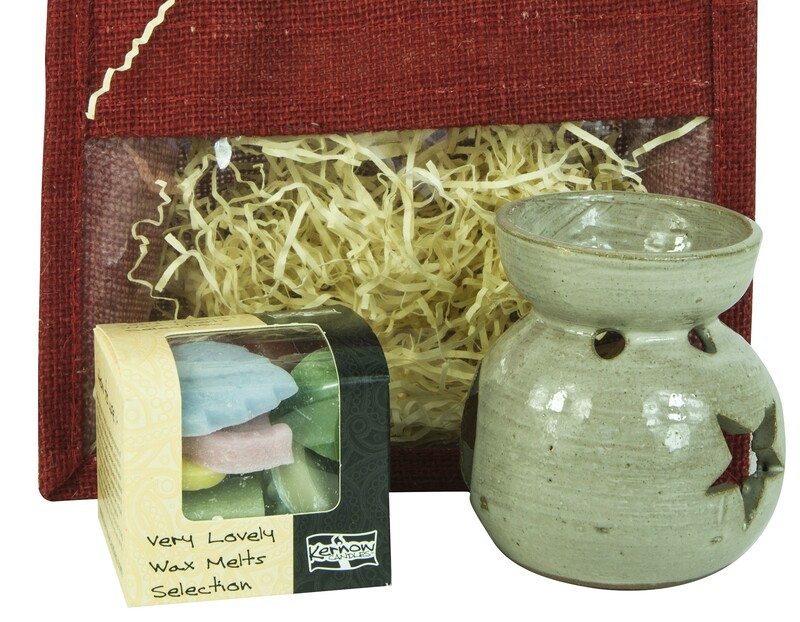 Just in case you don’t have an oil burner, we also sell our wax melts in a gift set, with a burner; available presented in a clear cellophane gift bag (£8), or presented in a co-ordinating jute gift bag (£9.95). Never leave a burning candle unattended. Always read the instruction leaflet supplied.